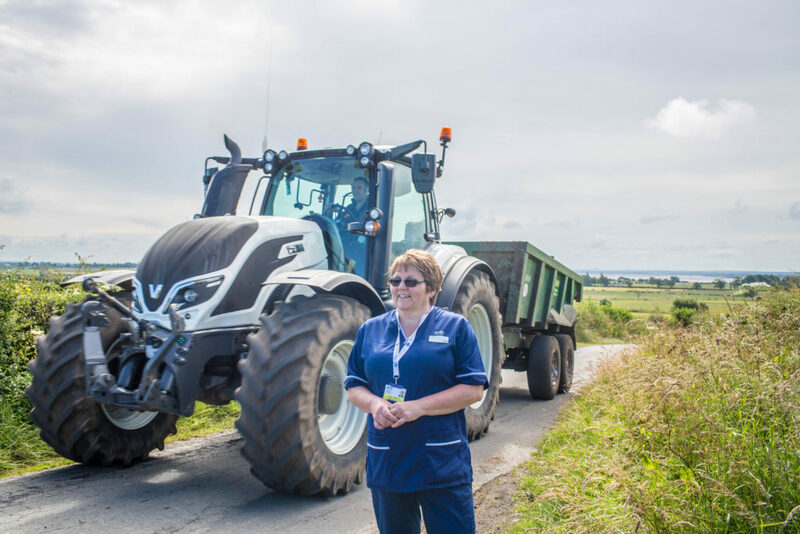 When she took up her post as Senior Charge Nurse for community nursing in Annandale and Eskdale, top of Hazel Hamilton’s to-do list was reorganising the service from a single-practice focus to larger area-based teams. Annandale and Eskdale is a large rural patch in South West Scotland with scattered farms, quiet villages and small market towns which are home to more than 38,000 people – most of them elderly. The community nurses provide care for those who cannot make it into a surgery. “If we didn’t go to them, they would be in hospital or long-term care pretty quickly,” says Hazel. 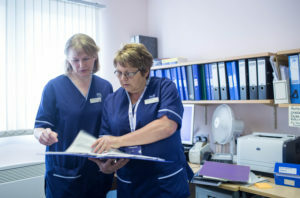 The community nursing teams – who between them make around 200 home visits a day – are organised across three geographical hubs. Still GP-attached, the nurses can rotate between teams and keep in close touch to familiarise themselves with each other’s caseloads. At weekends, they provide area-wide cover. There are 30 nurses in total, supported by seven health care assistants who have been trained up to do basic duties such as personal care, venepuncture and simple dressings, and two nurse technicians who keeps track of referrals and knows where everyone is. One of the innovations she has introduced is daily handovers between teams. Linking by videoconferencing, the nurses now discuss cases and share their knowledge. They liaise with the wider multi-disciplinary team when necessary, and keep up-to-date with local voluntary organisations so that they can signpost patients and carers towards other sources of help. “It’s only by working together that we can make sure folk get all the support they need, when they need it,” says Hazel. 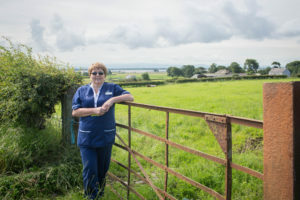 After qualifying as a nurse in 1981, Hazel worked in acute medical and coronary care in Dumfries hospital before leaving to have her first child. Married to a dairy farmer, she went back to nursing a couple of years later to work in care homes. These days, the bulk of Hazel’s work is focused on balancing the leadership needs of the team and administrative commitments. But she relishes opportunities to get out of the office, and back onto the caring frontline. She enjoys getting hands-on with patients whenever possible, and makes a point of regularly shadowing team members as they perform their clinical duties. 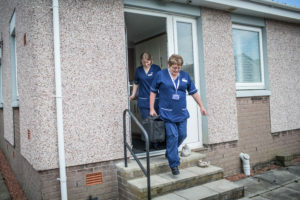 In an effort to inspire the community nurses of the future, Hazel has organised for third year nursing students from the University of the West of Scotland to work one day a week in a local care home while on their placement. 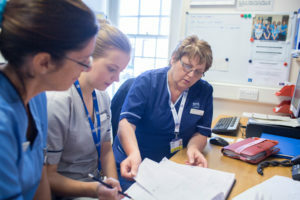 The first cohort of students developed a project on catheter care, sharing best clinical practice with home care staff, that has resulted in fewer call-outs. The second cohort has just completed a basic guide to skin care for care home workers. 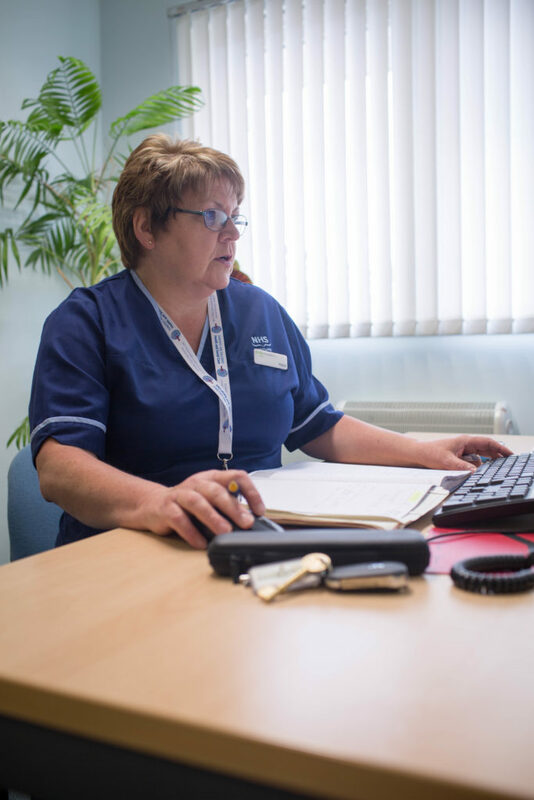 Hazel … has shown professionalism, drive, a desire for quality improvement and an enthusiasm for person centred care.